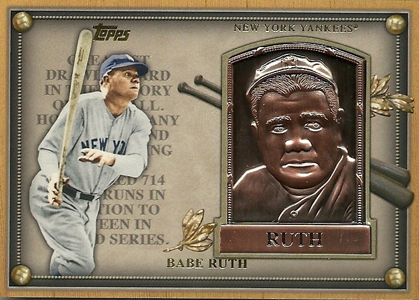 The bronze plaques that hang in Cooperstown are one of the most recognizable honors in all of sports. 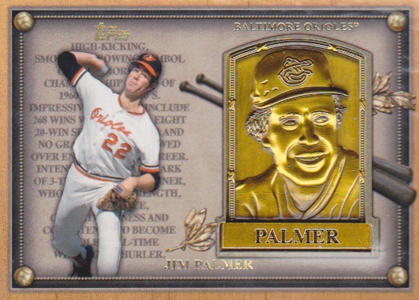 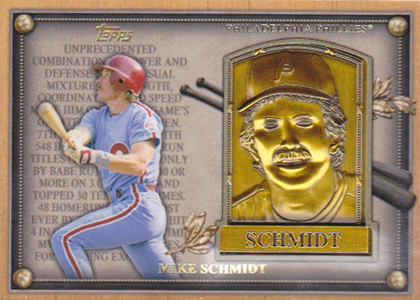 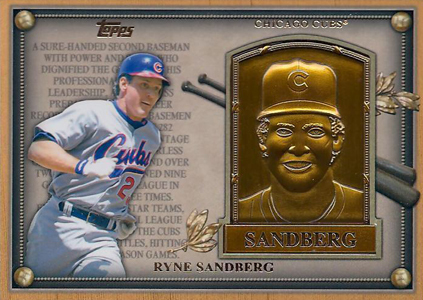 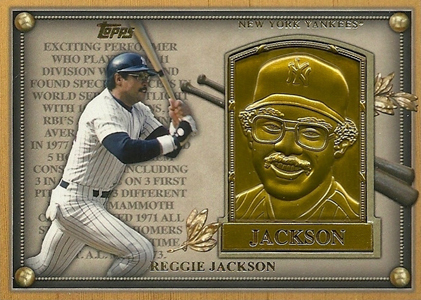 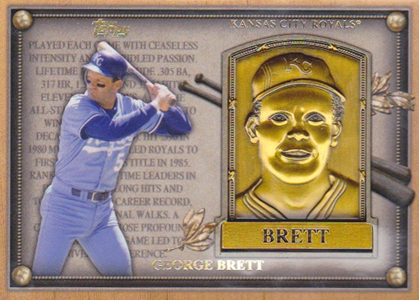 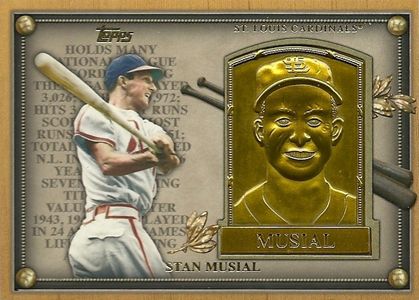 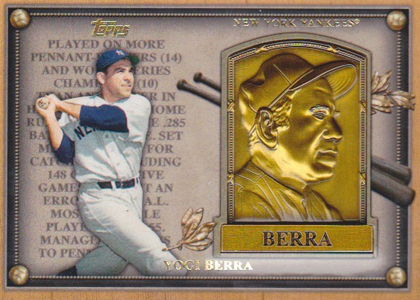 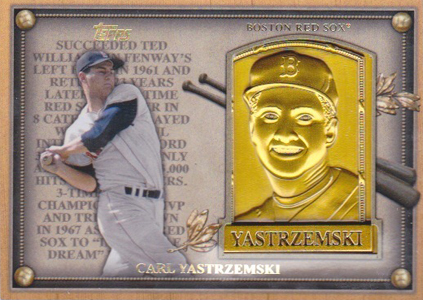 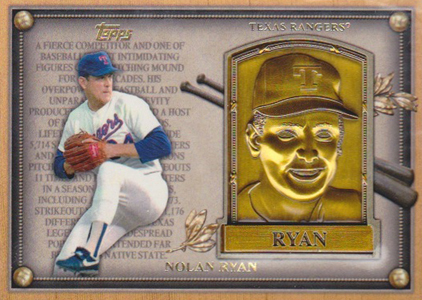 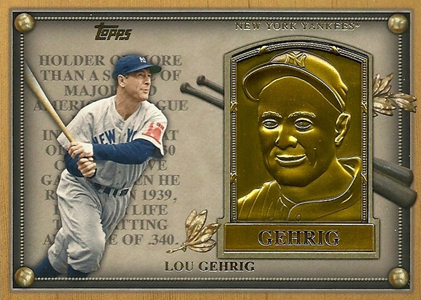 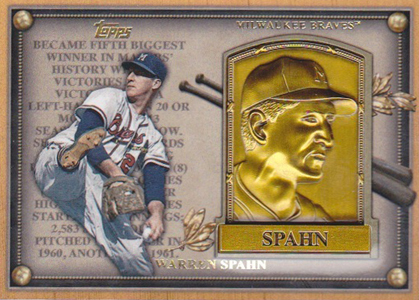 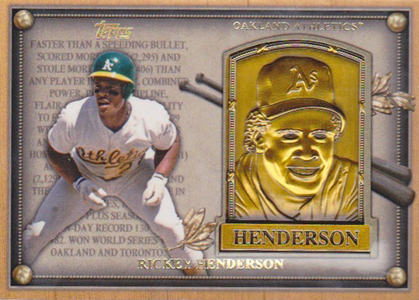 2012 Topps Update Series Baseball uses them as the inspiration for the Gold Hall of Fame Plaques insert set. 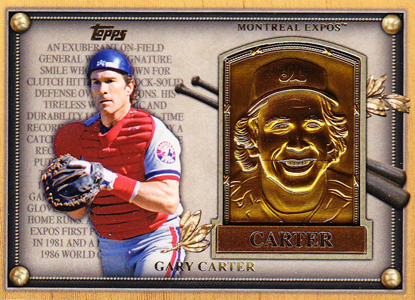 The cards can only be found in hobby and jumbo HTA packs. 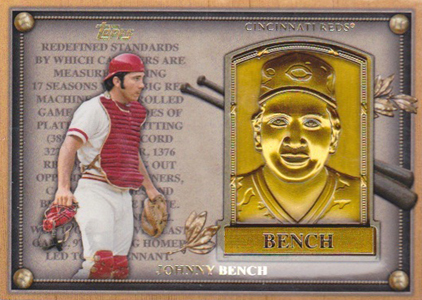 They feature a horizontal design with a replica mini plaque on one side and a player photo on the other. 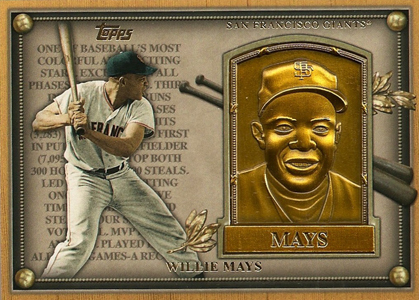 Behind the player is a backdrop of the text from the player's actual plaque. 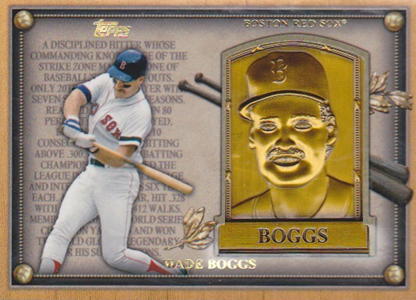 The 2012 Topps Update Gold Hall of Fame Plaques combine with other manufactured relics to fall one per hobby case or one per jumbo box. 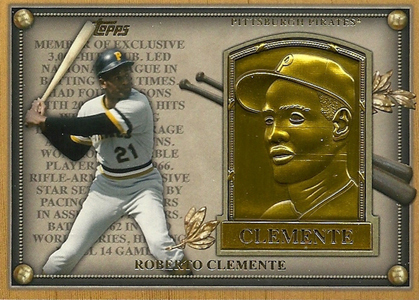 The set has 25 cards. 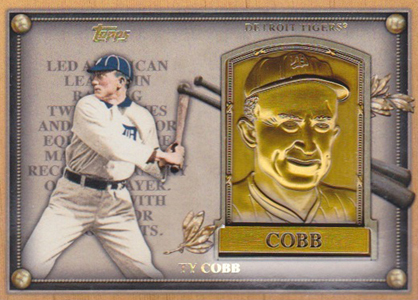 Players date back to the start of the Hall of Fame with the likes of Babe Ruth and Ty Cobb. 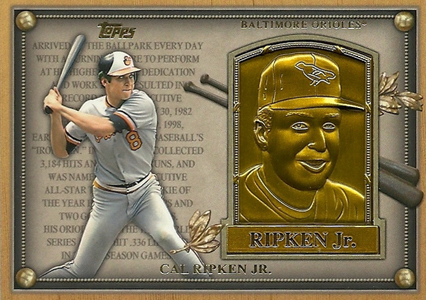 Recent inductees like Rickey Henderson and Cal Ripken Jr. also make the cut. 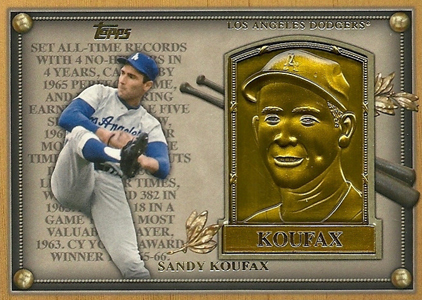 Other highlights include Mickey Mantle, Lou Gehrig, Jackie Robinson and Sandy Koufax. 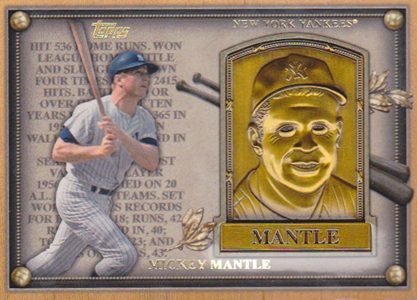 Not surprisingly, the New Yankees have the most players in the set with five. 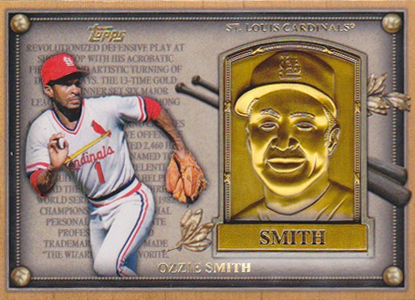 The Boston Red Sox, St. Louis Cardinals and Baltimore Orioles have two. 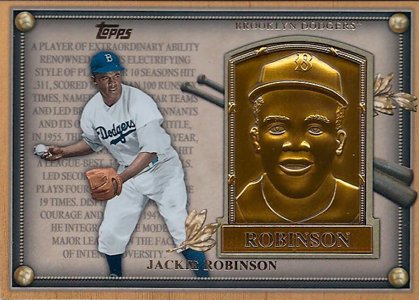 The Dodgers also have a pair, one each from Brooklyn and Los Angeles. 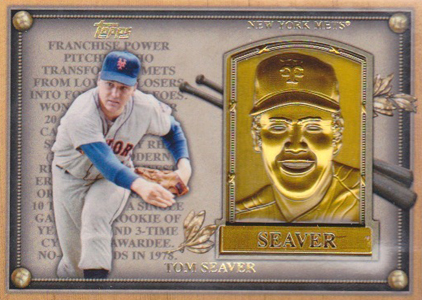 Below is a gallery of the entire 25-card set as well as a detailed checklist, complete with team info.